“The first recitation contest” How about memorizing a speech by a famous person and presenting it to audience? 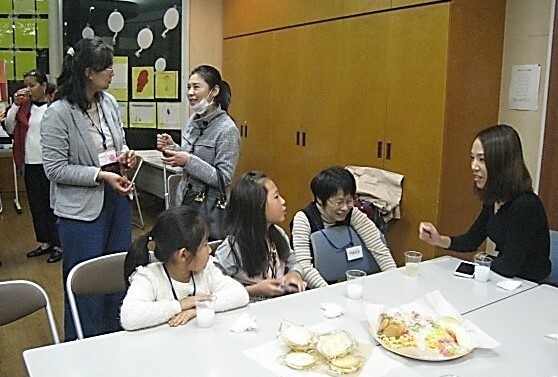 Yokohama Aoba International Lounge foreign language class hosted an event. 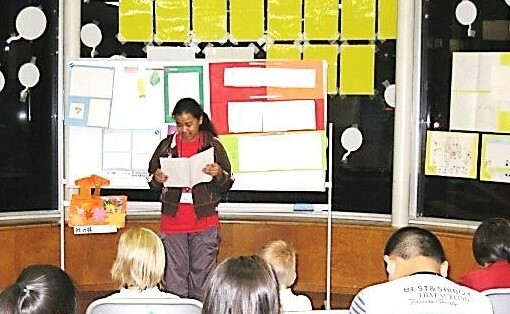 How about memorizing a speech by a famous person and presenting it to audience? 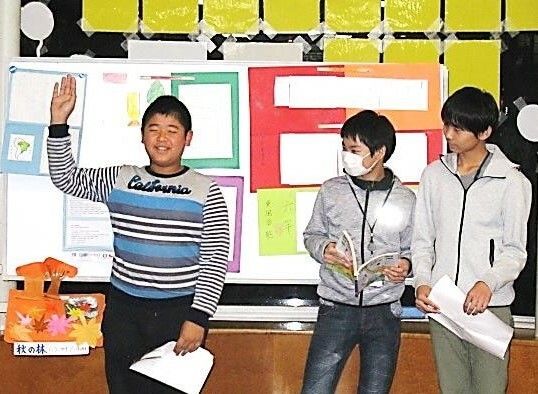 5 students from English class and Chinese class challenged at the first recitation contest to memorize a passage of a famous person’s speech and present in front of audience. 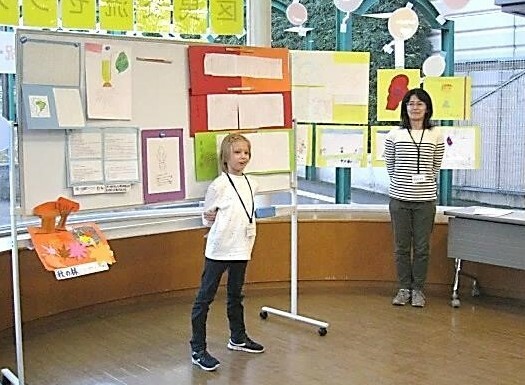 5 challengers chose passages of the 2013 Olympic invitation speeches by Ms Sato Maumi, Paralympian, and Ms. Christel Takigawa, a freelance announcer. They all participated with gestures at their best and finished all sentences well, even though they should have been nervous. There was warm applause from the audience to their courage and challenge spirit. After the tea time, two teachers of lounge English class gave their comments, which were very good advices for students studying English as the followings..
After the comments, 5 participants were awarded with certificates of commendation, prizes of participation and the most impressive speech award. At the end, there was a surprise that there were “TOKYO” letters on the envelop a teacher took out of the pocket!! Yes, this was as if the moment that 2020 Olympic game was decided to be held in Tokyo thanks to the wonderful Olympic invitation speeches by the five participants!!! The event of 31 people (including staffs) finished with flicker of excitement and big hand. Read more: “The first recitation contest” How about memorizing a speech by a famous person and presenting it to audience? 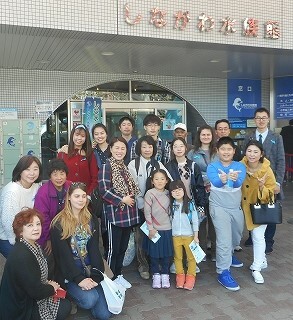 On the day of the “Hina Matsuri (Dolls’ festival)”, it was unfortunately cold rainy day, but 17 members including learners, their families and volunteers joined the outing to Nogeyama zoo which is in the center of Yokohama city. 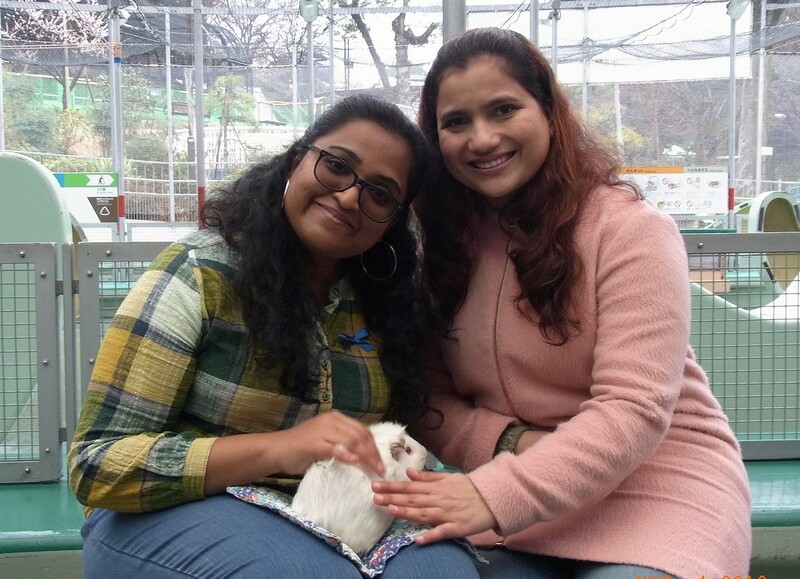 Though admission was free, we could spend a joyful day watching many animals and touching Guinee pigs and mice at “Good friend” square. Followings are impressions of two classmates. 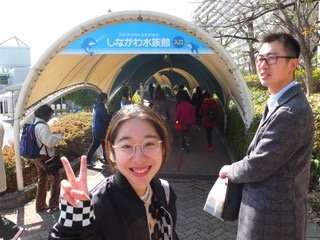 On March 3, we went for an outing to Nogeyama zoo. It was raining all day long, but it was not so bad because there were less visitors. 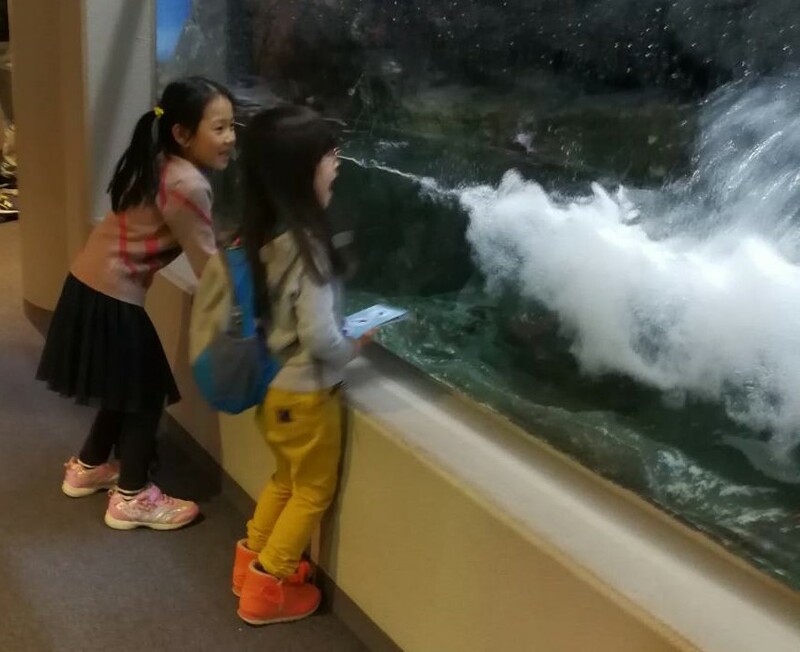 At Nogeyama zoo, we could watch many animals for free. For example, there was a sign board near the lion’s cage, which says “Please pay attention to Oshikko, (pee)” I learned a new Japanese word. There was an animal which I saw for the first time. It was a monkey, Colobus guereza. Its back hair is black and white. White part is shaped circle and the center of it was black. It was cool. 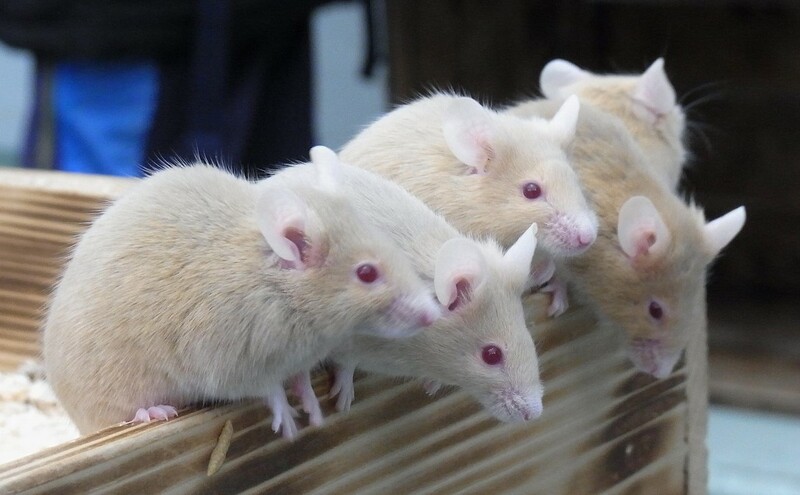 At Good friend square, we could touch Guinee pigs and mice. It was a wonderful experience. After watching animals, we had lunch together at the dining. The room was warm and we enjoyed conversation. I could make friends and studied Japanese. It was fun and I am looking forward to the next event! Last weekend, I went to Nogeyama zoo with teachers and classmates of Japanese class. It was raining and cold day. However, I could practice Japanese while walking with classmates. Usually, I have few chances to speak Japanese except for the Japanese lesson in every morning since I came to Japan. I was very glad that Japanese class provided such a significant event. 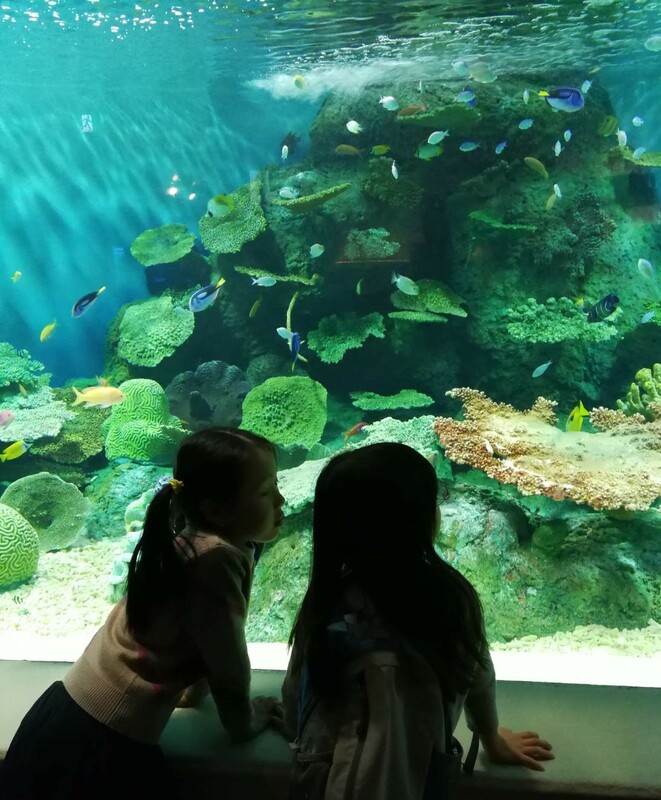 I could see many animals with teachers and watch real animals which are quite different from seeing the photo of them. Here at Aoba International Lounge, teachers are kind and I can have friends from other countries. It is fun to talk with them. This outing became one of my good memories. International exchange event What is “Iai Battoudoh”? What is Bushidoh? 〜Let’s study Japanese culture through “Iai” ( a Japanese martial art of quickly drawing the sword and responding to a sudden attack)～. What is “Iai Battoudoh”? What is Bushidoh? ( a Japanese martial art of quickly drawing the sword and responding to a sudden attack)～. 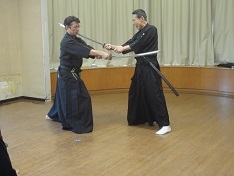 On March 9, we had International exchange event inviting four swordsmen and a presenter from Yokohama branch of all Japan Toyama Ryu Iaido Renmei. 27 Japanese (including staffs) and seven foreigners attended the event. Followings are impressions of Japanese participants. A grandmaster and three swordsmen were in a black costume and participated in dignified attitude. First, each person showed us “Iai” forms. Holding a real sword on his waist, the action of drawing a sword looked exactly like that of Samurai. 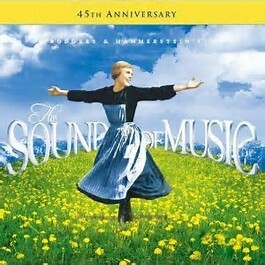 We felt the atmosphere changed at the performance. Then a swordswoman, who is going to be a university student from April, showed us the performance to cut a roll of wet tatami straw. She started learning Iai sword drawing from February and could cut the roll of wet tatami straw in a standing positon, which, they say, showed that she had a good aptitude. A young Japanese lady and a foreigner of the audience challenged to cut a roll of tatami straw. One needs to be very careful not to harm oneself when using a real sword. After they were instructed how to use a real sword and what they need to be careful of, they could successfully cut a roll of tatami straw handling the sword beautifully, which brought us additional excitement. After holding the sword up and bowing, they put the sword back to the scabbard at waist. It was the way Samurai behaved respecting order and civility. The figure of swordsman looked very nice even for the eyes of us, present Japanese. Foreign people should have watched them with interest. Read more: International exchange event What is “Iai Battoudoh”? What is Bushidoh? 〜Let’s study Japanese culture through “Iai” ( a Japanese martial art of quickly drawing the sword and responding to a sudden attack)～. She was born in Kagi city, Taiwan and moved to Taipei when she was 14 years old. She married a Japanese and came to Japan in 2006. 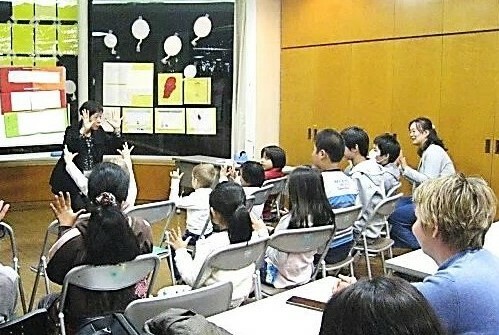 In return to the help of Japanese people who taught her many things, she wants to let Japanese people know about Taiwan. 68th Afternoon tea, “Oolong tea ceremony and introduction of Taiwan”, was held on February 23 (Sat). 42 people and 18 staffs attended the event. 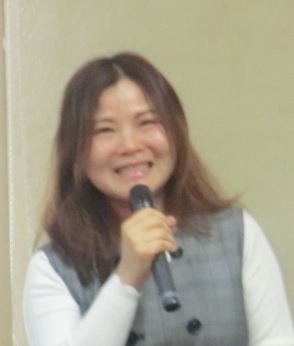 Since Taiwan is located near Japan and the title was about famous oolong tea, participants listened and watched enthusiastically the speech of Mrs Kaku and the slides she showed. 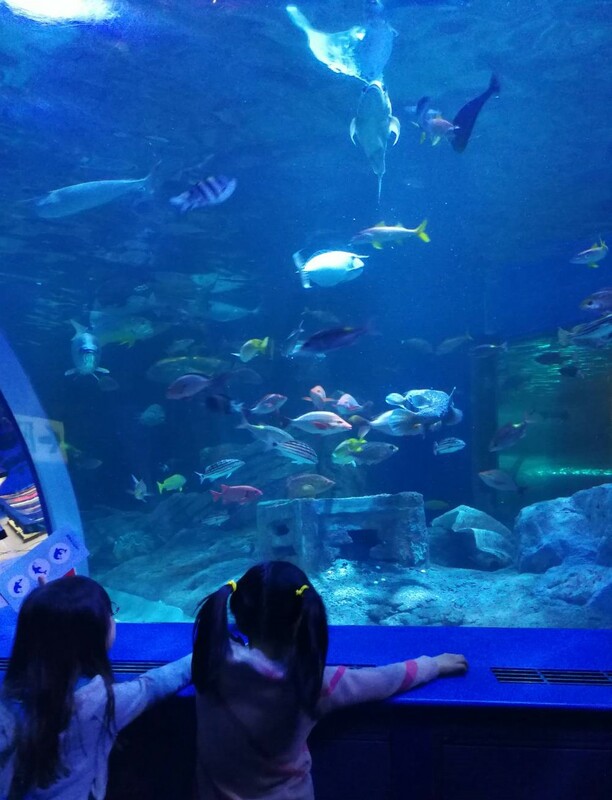 First, we were very impressed by the slides of beautiful nature such as mountains, lakes, and famous sightseeing spot, Jiufen, which made us think to visit Taiwan. Then, at the topic of food and oolong tea of Taiwan, all of us listened attentively to the talk about oolong tea. After this, we rearranged the room and had tea time. We saw demonstration of real Taiwan’s way of preparing oolong tea. We could taste oolong tea from the first class tea leaves. There were voices such as “so tasty”, “It changed the image of oolong tea.”, and “More interested in Taiwan and oolong tea”. At Q & A session, there were many questions about oolong tea. Annual new year party was held. 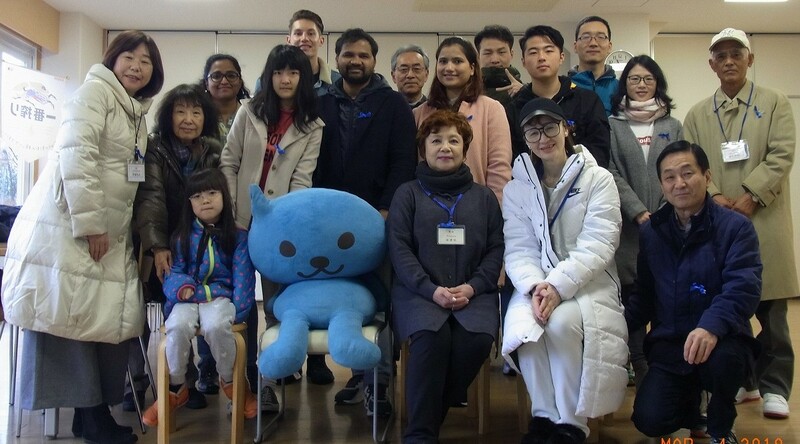 The first annual event in 2019, New Year Party of Yokohama Aoba International Lounge was held on January 13 (Sun). Though it was the middle day of three consecutive holidays, about 70 residents including foreign residents gathered. The party room was decorated with new year decorations such as flower arrangements and brush writings of the word “boar”, which created bright new year celebration atmosphere. In the mini event, we enjoyed Gamelan by traditional Indonesian percussion instrument ensemble “Bali suka campur”. We felt really comforted by bamboo sound and children were very much interested in the unique instruments having chance to touch them. After the mini event, we chatted over Sushi, cakes, and drinks. Pleasant conversation continued endlessly. At the end, Japanese cakes were presented and many people left words of appreciation. Thank you very much for attending the party. Far east Russia is located in short distance from Japan, but not well known to most of Japanese due to lack of information. Though recent news say that Russian government is making big effort to social and economic development of this area and this area is developing rapidly, the detail is not clear yet. Most of Japanese have few chances to take an interest and to recognize it as a neighbor country. In this lecture, we invited Mr. Tosiji Maeda who worked many years in Russia as an expat worker of a trading company and is now promoting the exchange of economy and culture between Japan and Russia. In this lecture, he told us the history of Russia, relation with Japan, the feeling of Russian people about Japan, and the situation of the far east Russia. This was a good chance to know far east Russia. 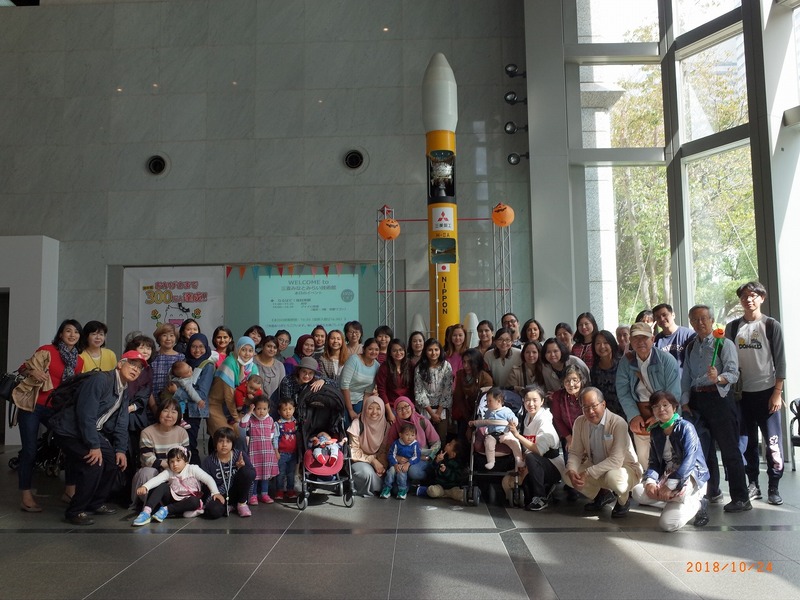 58 members including class mates, their children, and volunteers visited the museum on October 24 (Wed). 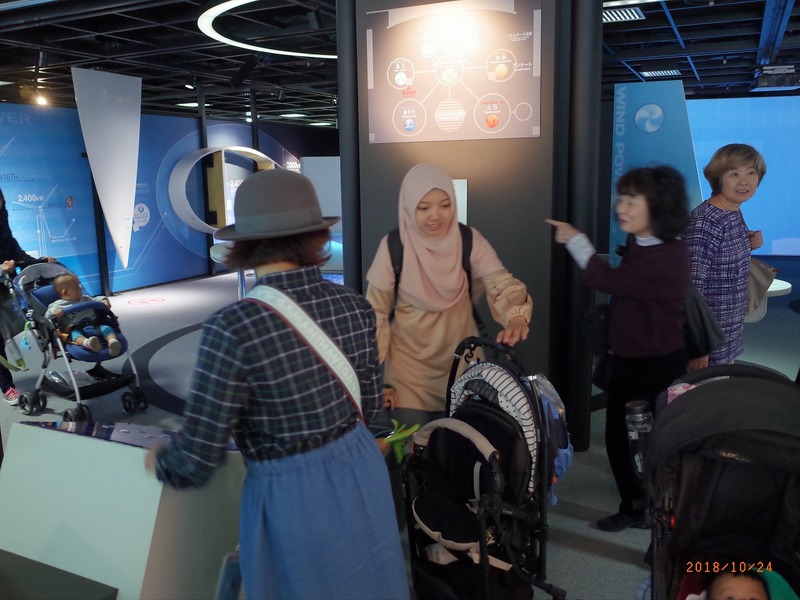 Various technologies of 21th Century were exhibited at Mitsubishi Minatomirai Industrial Museum. 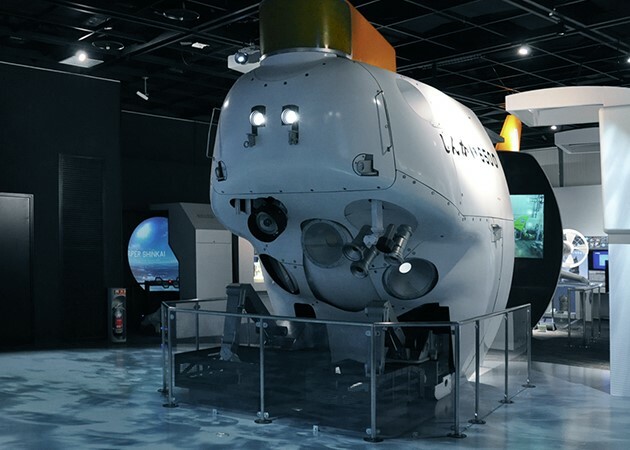 the information such as the history of a submersible research vehicle and the present status of development. will be developed in next 10, 20 years? Studying these recent technologies, I realized the importance of supporting technology development for the future. 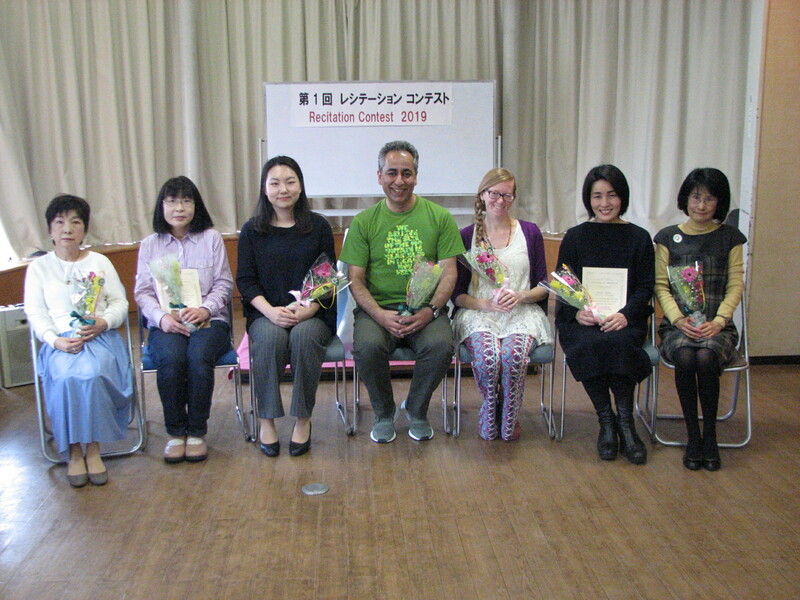 We had Introductory Event of “Japanese culture for foreigners” to give a chance to foreign residents to contact Japanese culture. We had 24 foreign residents to experience Japanese culture such as studying how to use a Japanese fan, dancing together in a ring, studying the manner of tea ceremony and enjoying Matcha, green powdered tea, prepared by oneself with a Japanese cake. At the end of the event there was a chance to put on the Kimono for Japanese classical dance exhibited by the teacher and to take a picture. 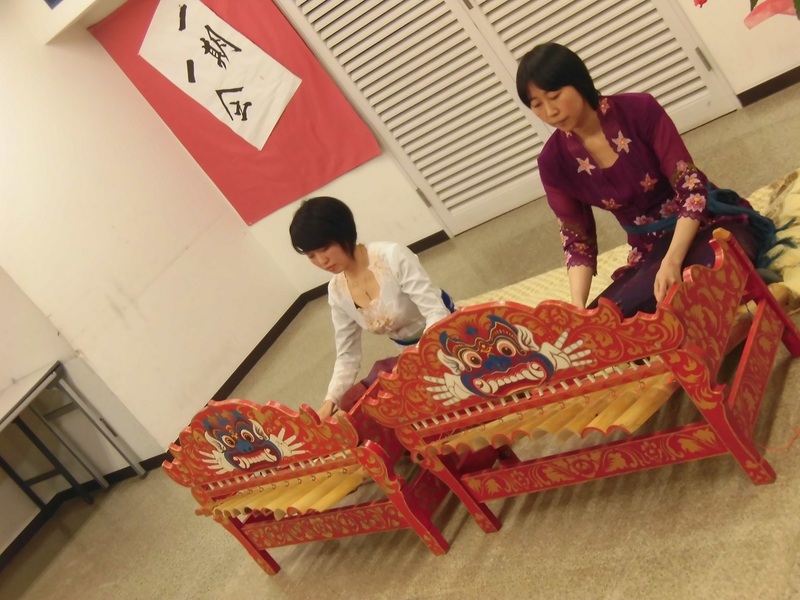 At Q & A time, there were many detailed questions about tea ceremony performance and tea-sets. We enjoyed the event in a friendly and calm atmosphere. 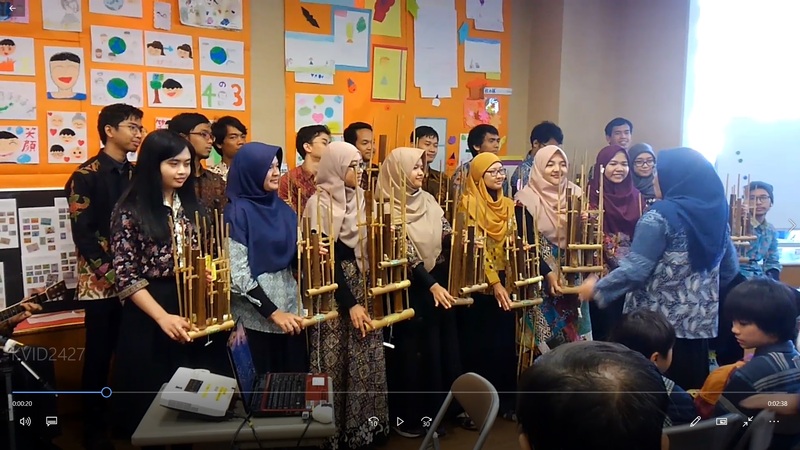 Tokyo Institute of Technology students from Indonesia played Angklung, an Intangible Cultural Heritage of Indonesia, on the stage of Aoba Community and Cross-Cultural Center Festival on November 23, 2018. 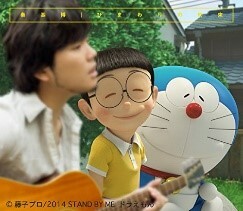 They played three songs, Doraemon, I have a dream, and Cofee lumba. After the programed performance, Japanese audience had chance to practice Angklung and played “Twinkle, Twinkle Little Star” and“The song of Do-Re-Me” together. Click the illistratio of song, you can watch a Video clip of Angklung performance. Every year, half of the students are new members. 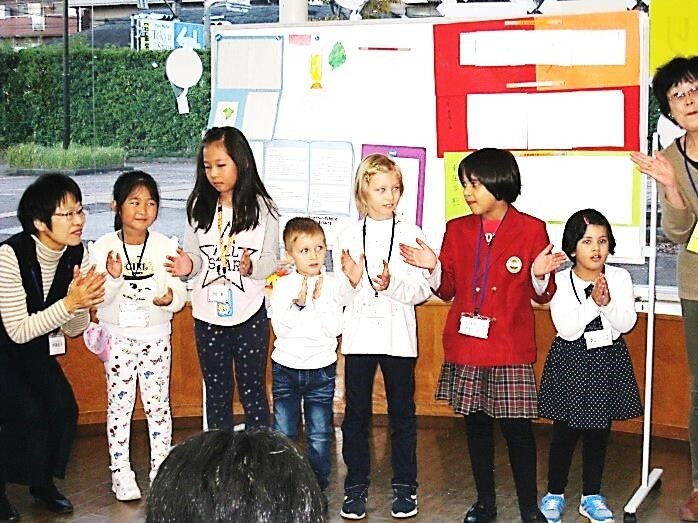 Some students study Angklung in Japan for the first time. 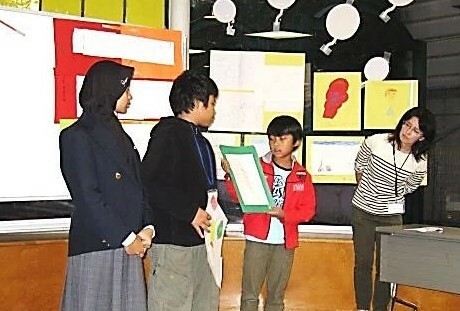 Indonesian heritage is passed down to younger generation even in Japan. 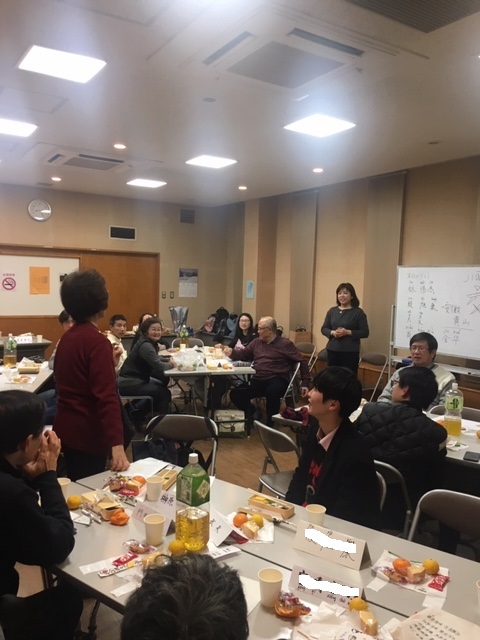 2018 Japanese speech event by Japanese learners of Japanese class was held at Yamauchi Community Center in Azamino on November 11. 13 students from 5 countries participated..
We also enjoyed Fula dance by the members of “KAIMANAHILA”. Please click the picture of a performer, then you can watch Video clip of the speech. I think foreign people feel that Japan is the easy place for singles to live. In China, it is common to move in groups. However, I learned that business for singles is thriving in Japan. I will talk about it. 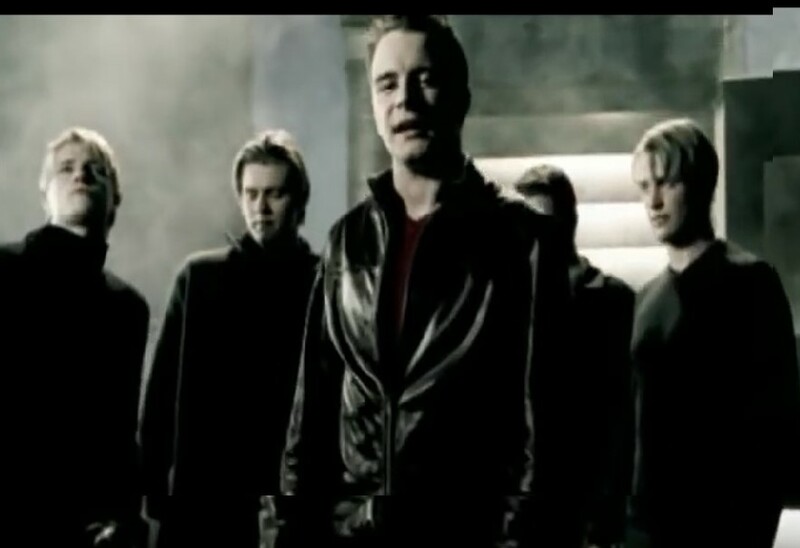 and pieces of their work which they wanted to be seen. It started with self-introduction of each child and the song “If you are happy and you know it” by early elementary children. Then followed quizzes about animals and insects, poetry reading, and speeches.  The children’s families attended the event together.  After the presentation, they all spent a joyful time playing paper-rock-scissors game and eating snacks. 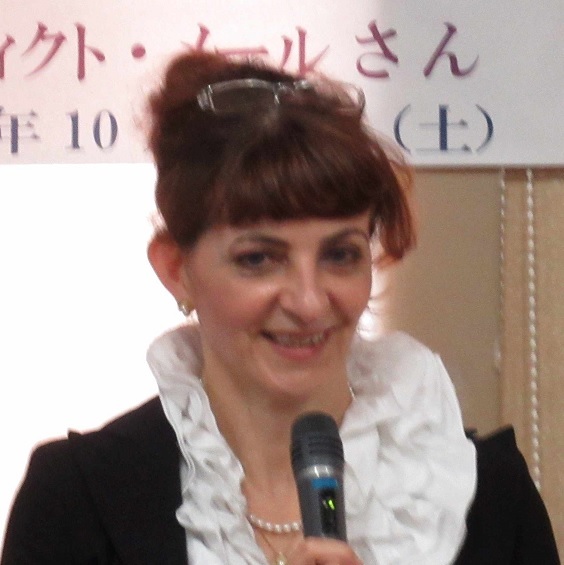 Ms. Benedicte Mehl came to Japan in 1994 and worked for a food and beverage company. Realizing her dream to teach French home cuisine which was one of her good memories of her childhood, she opened her own atelier and has been holding many lectures such as French home cuisine, gastronomy, table manner, and gourmet tour. 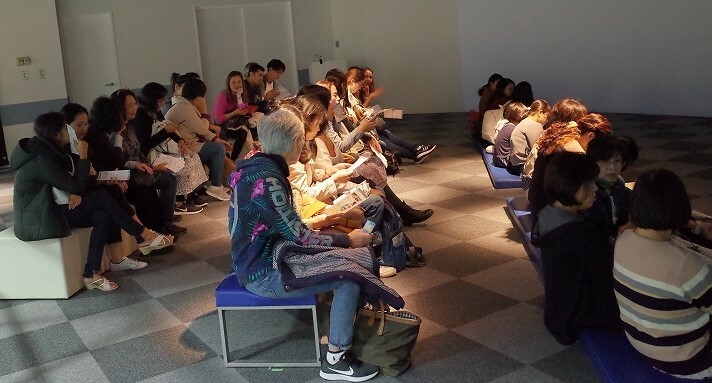 On October 27 (Sat), it turned out to be a very fine day though the weather forecast said it would be a rainy day and 66 people including 14 staffs attended the lecture. “French cuisine culture” declared as “world intangible heritage” in 2010 is of strong interest for Japanese people and attendants listened eagerly to the lecture of Ms. Venedicte Mehl. After her self-introduction, she made her presentation of “French meals of a day”, “preparation of meals — welcome to French kitchen”, “table coordination and table manner”, and “recent popular food concept” in fluent Japanese, using screen images and exhibited materials. 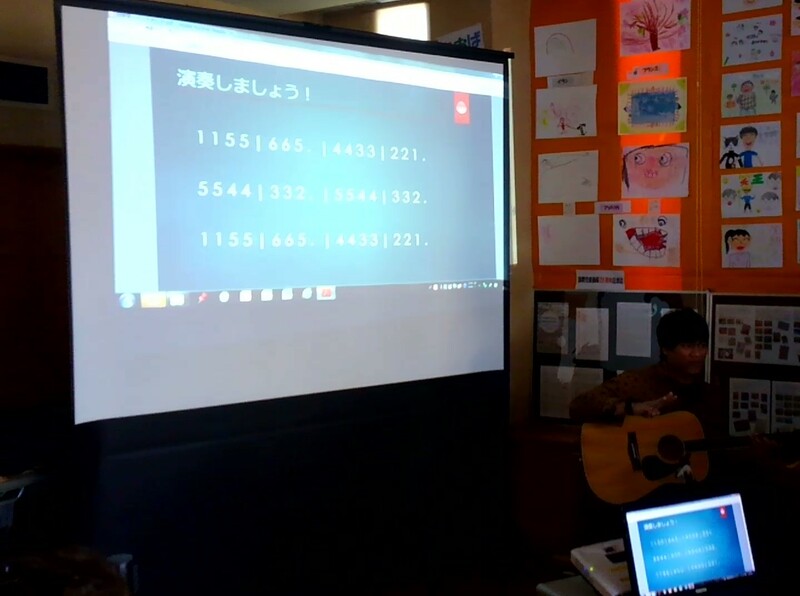 At quiz time, some answers were different from our understanding, which made us surprised and impressed. At tea time, typical French cake “gateau chocolat” made by Ms. Benedicte Mehl was served and we all enjoyed the delicious taste. At Q & A time, though there were some difficult questions, 2 hours had passed very quickly in warm atmosphere. We were impressed by the depth of French cuisine culture and could understand the food custom at French family and importance of it. “Tasty summer” Enjoy making Wagashi, Japanese style cake, with parents and children. Place: Aoba Community and Cross-Cultural Center, Room 2 and 3. One high school senior student voluntarily helped us as one of staffs. We made four kinds of Rakugan dough, coffee-milk taste, Culpis taste, Maccha taste, and peach taste. Then we put them into wood molds of many shapes. . Since making Rakugan needs lots of finger power, we first anticipated that this might be a little difficult for children. But they all, both adults and children, worked very hard and enjoyed making one’s own cakes. We planned to have time to taste cakes at the tea service corner, but most of them took the cakes back home wrapping beautifully as a present. This event seemed to be a last good memory in this summer. Read more: “Tasty summer” Enjoy making Wagashi, Japanese style cake, with parents and children. Mr. Matej Sagmeister came to Japan in 1999. He is teaching at a dance school in Tokyo while he appears on the nationwide stage shows. In 2011 he established “Z-star Motion Co. LTD” to broaden his activity. Now he is mainly teaching the joy of expressing oneself to music and rhythm and also the exercise to move the body easily. We had 66th afternoon tea, “the emerald of Europe, Slovenia” on July 21(Sat). Many people attended the event despite of extreme heat. The guest speaker was Mr. Matej Sagmeister from Slovenia. Slovenia became independent from Yugoslavia in 1991. Slovenia is surrounded by Italy, Austria, Hungary, and Croatia and is as large as Shikoku island. The area facing to Adriatic sea is a resort area, the mountain side close to Austria is a winter sport area, and the inland area connected to Croatia is Karst which is the origin of the word karst. Slovenia is a treasure house of calcareous caves. Slovenia is a beautiful country surrounded by emeraldine lakes and forests. Mr. Jatej had never eaten fast foods until he became an adult. He grew up going out to get mushrooms with families and eating house made yogurt and hum. He had healthy life! Honey is also an important food. Elan ski is famous too. He showed us many pictures; so many participants told us that they wanted to visit Slovenia. At tea time, Slovenian fragrant linden tea was served and we all enjoyed it. What image do you have about Muslim religion? Is your vague image or understanding about Muslim religion correct? In Lecture in plain English No. 19, we invited Mr. Bastami from Iran to tell us about Muslim religion which we don’t know well or may have misunderstanding images. In the lecture, he first told us about the origin of Muslim religion, religious principle, and peoples ‘daily customs relating to the religion. Then he told us about where prejudice and misunderstanding which connect world conflicts and terrorism to Muslims and Muslim religion come from. There were many questions from listeners, which Mr. Bastami answered very politely one by one. So most of listeners could improve their understanding about Muslim religion and satisfied by the lecture. This was the very popular lesson by Mr. Takahashi of Toyo Eiwa University which has been held for last 6 years. This lecture was held with many participants as usual. The title of the lesson was “English expression to make good human relation”. He told us whether our daily English expression is suitable for the listener’s social status and age. He also told us the case we might be using impolite expressions for lack of knowledge. We learned high quality, grown-up expressions taking into account human relations. The lecture was participatory approach type. We felt two hour lesson was very short. A sequel lecture will be held on November 10 (Sat). Please join us to the next lesson. For future events (in Japanese), please check here. Though it was raining, 42 people including classmates, their families, and volunteers participated. We got on the boat at Hinode pier and got off at Asakusa. Then we walked to Sensoji temple through Kaminarimon gate and Nakamise street. Here is the impression of Mr Jun, the interviewer. I am Jun. I came to Japan from Korea in October two years ago. I have been studying Japanese from Ms. Chiba at Aoba International Lounge for almost one year and half. This was the first experience for me join this kind of event. It was really fun getting on a boat and praying at a temple. It made me more impressive to have interviewed three classmates, Ms Chan-in, Ms.Kotsuki, and Mr. Javier. I cannot use a humble form and courteous form appropriately yet. So I want study Japanese more so that I can speak Japanese fluently. I appreciate for inviting me to such a wonderful event.